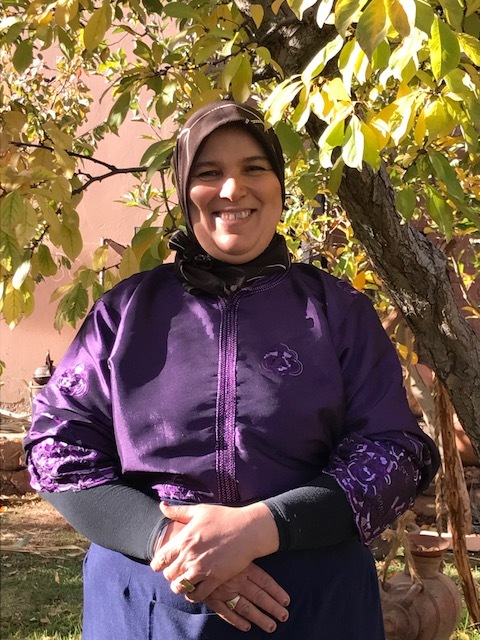 Mina is a much-loved member of our team of artisans, running a small bread kitchen at Kasbah Tamadot alongside her kitchen partner Malika Okik. Here the duo showcase artisan bread-making techniques and serve a lunch of traditional Moroccan wood-fired flatbread (known as ‘tanourt') daily, to lunch guests at Kasbah Tamadot. 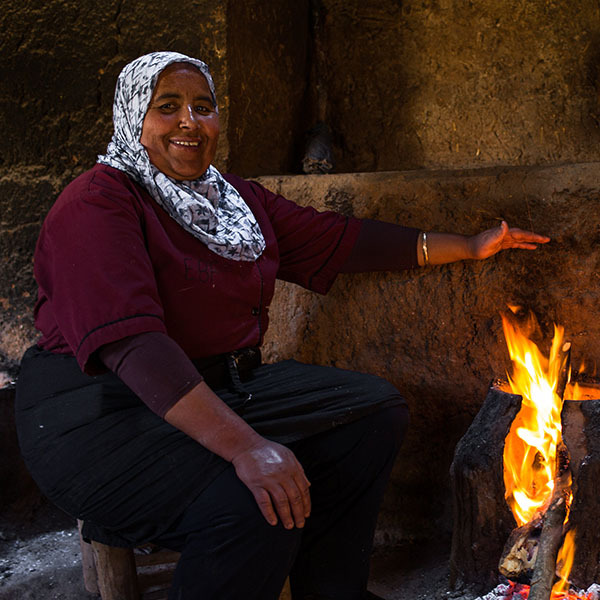 From her work, Mina is able to earn a regular income which supports herself and her sisters.